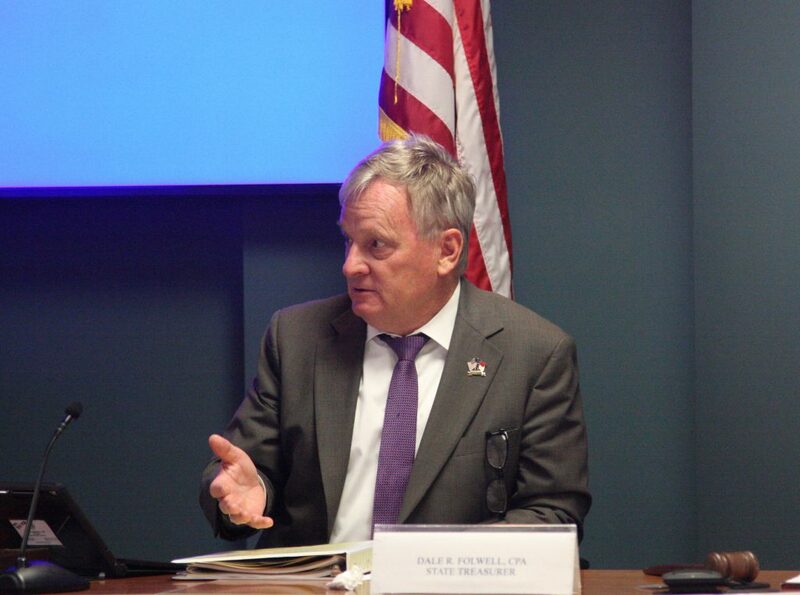 State Treasurer Dale Folwell is making good on a pledge from his 2016 election campaign to cut costs and boost transparency in the State Health Plan. Oct. 4, Folwell announced that in January 2020, the State Health Plan will change the way it reimburses medical providers. The attempt to save $300 million would translate to $60 million in savings to plan members. Instead of using a commercial-based plan with varying fees, the state will convert to reference-based government pricing. Payments to medical providers will be based on a negotiated percentage above Medicare rates. Folwell’s long-term strategy is using the purchasing power of the self-insurance plan — it has a $3.3 billion annual budget — to control health care costs while promoting care, transparency, and affordability. North Carolina will join Montana, which has switched its financially troubled state health plan to that model. But North Carolina is bound to make a bigger splash. Montana has 30,000 plan members. North Carolina has 727,000 teachers, state workers, retirees and their dependents on its plan. “We see it as a huge deal. It’s another promise kept by Treasurer Folwell to make the State Health Plan more transparent for state employees and for taxpayers,” Ardis Watkins, spokeswoman for the State Employees Association of North Carolina, told Carolina Journal. The State Health Plan is paid with employee contributions and tax dollars. It has $35 billion in unfunded liabilities. Blue Cross and Blue Shield of North Carolina administers the plan, and will continue to do so under the new model. During a July forum, Folwell challenged BCBSNC and key state medical providers to cut costs annually by $300 million. His impatience bubbled over at an Aug. 30 State Health Plan meeting when he said the insurance giant keeps so much billing information secret he can’t determine how much of charged expenses were waste, fraud, and abuse. The Treasurer’s Office contends state and federal guidelines demand transparency, but BCBSNC isn’t providing it. Blue Cross says it gives all claims data to the State Health Plan, it has an online cost transparency tool, and third-party auditors check the books. The State Health Plan has used BCBSNC’s network of medical providers for decades. State agencies are lumped together with other employers in a selected insurance plan; they share a network of doctors and other health care services. BCBSNC says it can’t release all contract details because private and public entities are under the same contract. Under reference-based pricing, BCBSNC will pick a network of providers specifically for the State Health Plan. Plan officials then can see all billing details. “We’re going to be asking a little from a lot of people, and a lot from a few. I’m asking health care providers in the state to help us sustain this benefit for teachers, public safety officers and other public servants,” Folwell said when announcing the change. “For years, the plan has paid medical claims after the fact without knowing the contracted fee. It is unacceptable, unsustainable and indefensible. We aim to change that. This new pricing model will help us ensure the delivery of quality care to our members, and better control health care costs, preserve the sustainability of the plan, and promote transparency for Plan members and state taxpayers like them,” Folwell said. Aside from greater transparency, Folwell said the new system will give providers more predictable payments. Primary care, mental health, and critical access providers are expected to see fee increases under the new rate structure. Letters were sent last week to providers outlining the new reimbursement rate, and asking them whether they intend to use the new model. Those that don’t will be considered out-of-network providers, and members who use them will pay higher out-of-pocket costs.